Ha,ha…who would have ever thought! 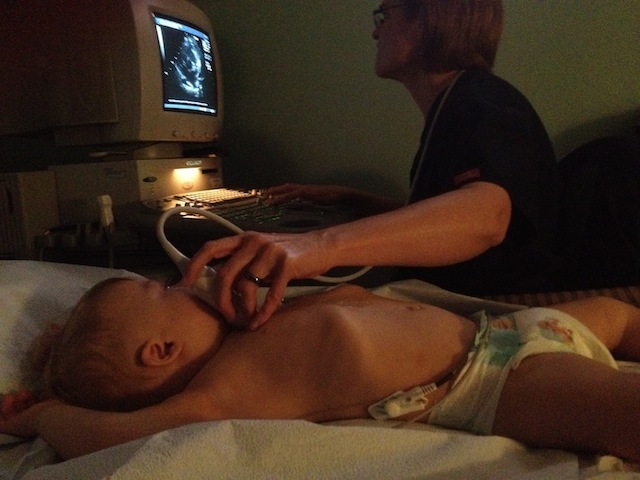 Yesterday Noah had a follow up appointment with his cardiologist, and we got some news we weren’t really expecting. Not necessarily bad news, just unexpected. 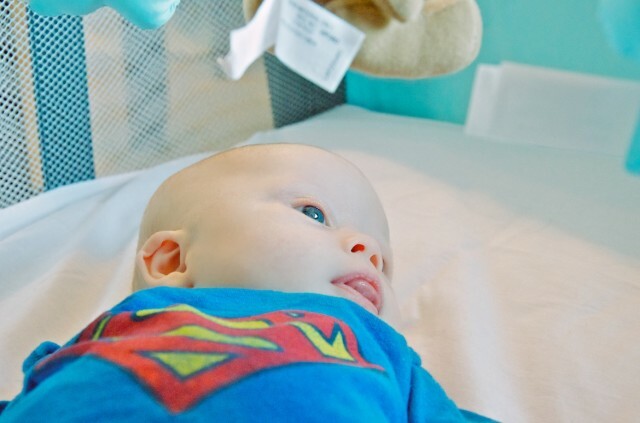 Since many you may not have been following our son’s story from the very beginning, I thought I’d give you a quick time line of his heart conditions, including an update from yesterday’s appointment. Our First Concern, Noah’s Heart. 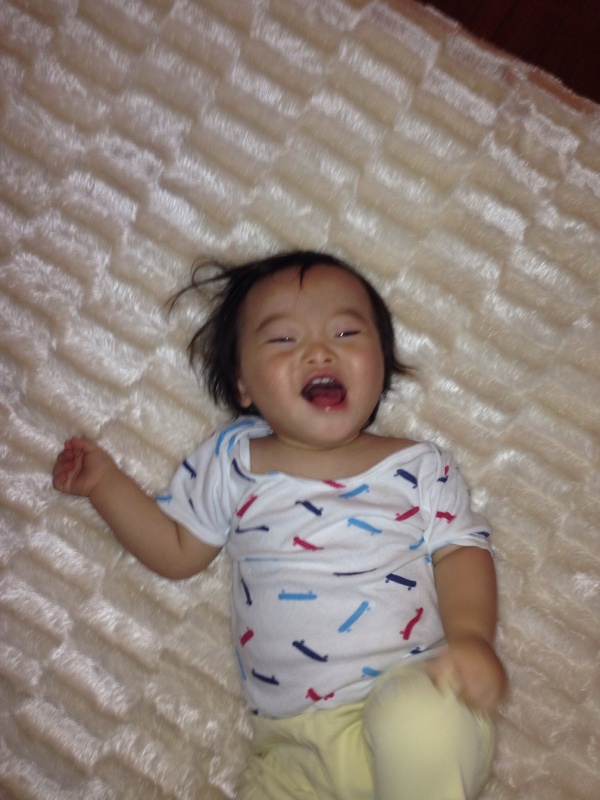 Speaking of hearts….he stole ours since before he was born! My wife’s a pediatrician and is well aware that children born with Down syndrome often are born with serious heart complications. 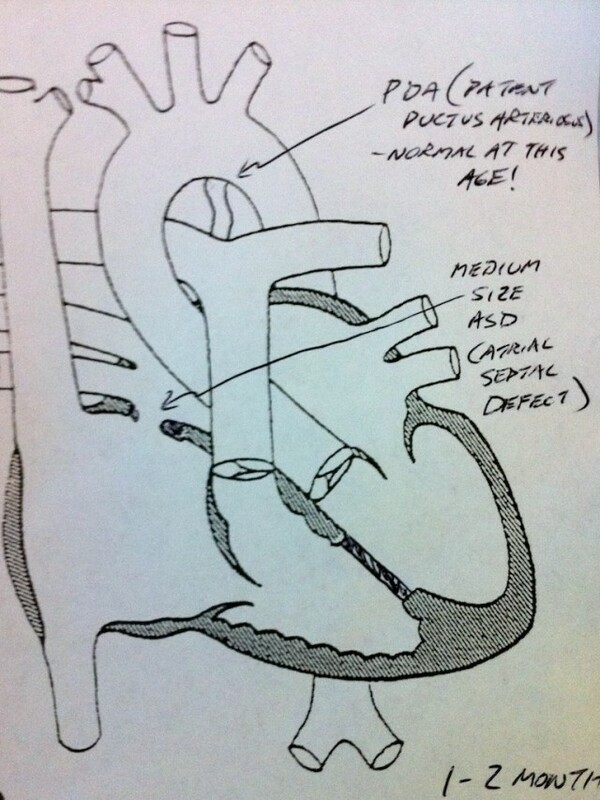 One of those is an AV Canal which often requires open heart surgery right away; thankfully Noah did not have this. Our pediatrician reassured us that although she could hear a small heart murmur, there were no major problems with his heart. She told us the the cardiologist would be in the next day to do a full exam on Noah’s heart. 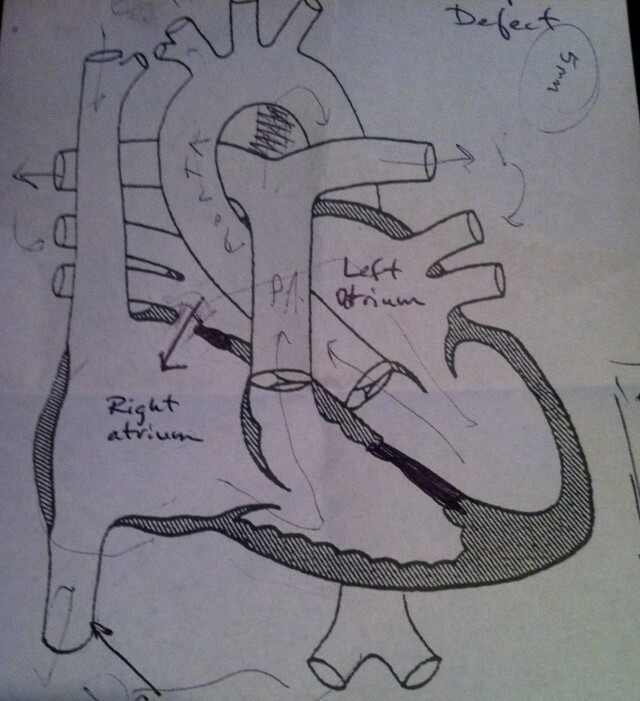 The next day we learned from our son’s (awesome) cardiologist that he was born with 2 smallholes in his heart; an Atrial Septal Defect (ASD), and a Patent Ductus Arteriosus (PDA.) Since my wife’s a Doctor sometimes Noah’s Doctors rush through things without explaining them well, assuming that she already knows it all (she’ll be the first to tell you she doesn’t) but not Noah’s cardiologist. I’ll never forget the day I got this picture! We were told there weren’t any immediate concerns with Noah’s heart and we just needed to schedule a follow up appointment in a few months to see how things were progressing. 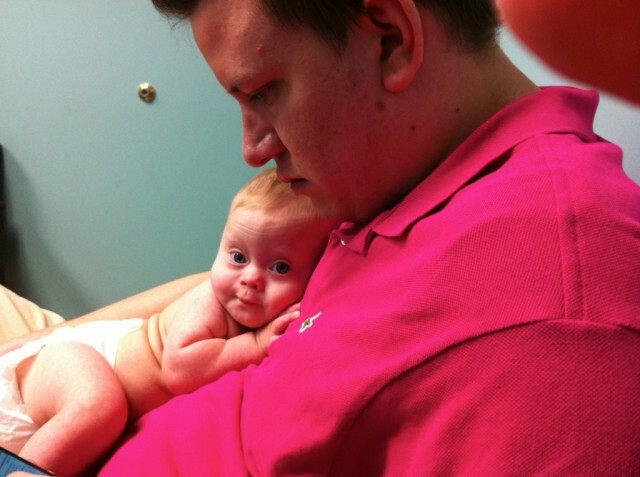 This was our first official visit with Noah’s heart doctor and we got some great news! The PDA that was there had completely closed up on its own, and the ASD had shrunk to only 5mmwide! Woot! We were told to schedule a follow up in 6 months and if the ASD got smaller, or remained the same size, no surgery would be required to fix it! However if it enlarged we would have to talk about what the next steps were on fixing it. This of course made me extremely nervous. Who wants to think about the “next step” for their infant, when we all know the next step” is really doctor code for heart surgery. Not me. 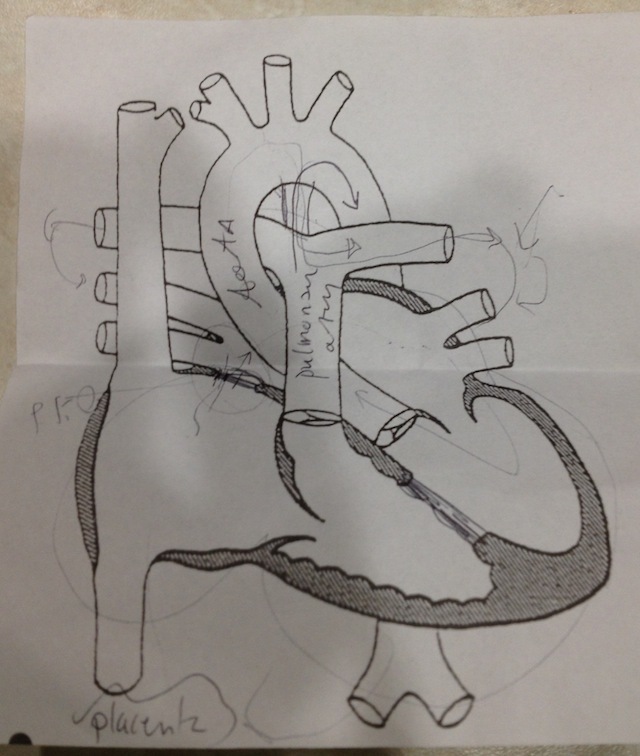 In fact, today’s visit was so good they didn’t even have to draw us one of those pretty heart diagrams! Noah’s cardiologist informed us that the hole in his heart was so small that even if it never closed up it wouldn’t cause him any problems what so ever in the future. In fact, they wouldn’t even need to do anything to correct it. She was also fairly confidant that by the time we came back for our next follow up (in 12 months) it would be closed up as well. Yesterday we went to Noah’s cardiologist fully expecting for Noah’s remaining heart hole (the ASD) to be closed up…and being told we never had to visit the heart doctor again…. ….but it’s never that easy, is it? There’s nothing a little Winnie The Pooh Can’t Fix! 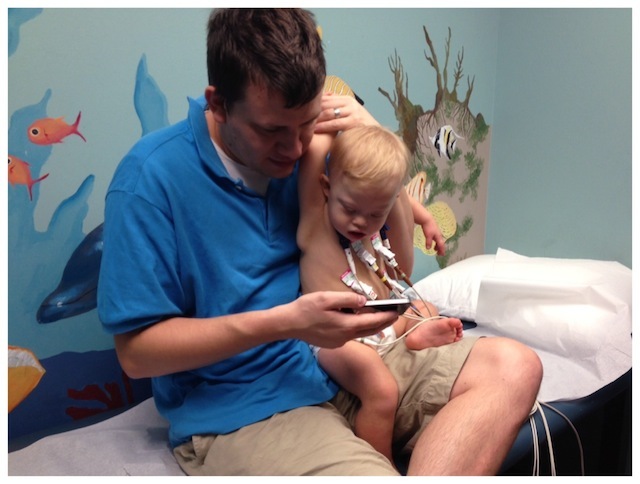 After Noah’s EKG and echocardiogram we waited patiently for his cardiologist to come in and tell us the good news. 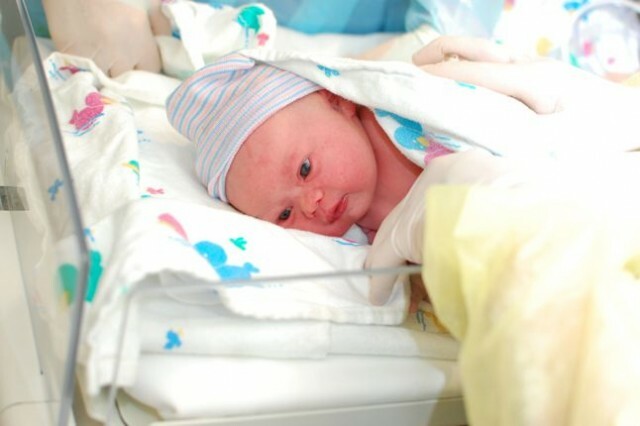 She assured us that is was no big deal at all, and both of his heart defects are so small that they would never cause him any problems, and would never require any surgery what so ever. So it was actually great news! But like I said above, it just wasn’t what we expected to hear. Oh, and this time we got another one of those fun pictures. I’m A Crier, And I’m Not Afraid To Admit It! Even though it we were getting fantastic news, I started tearing up as soon she started talking to us about his heart. Not so much because the news was bad or anything. It had more to do with the fact that just a few weeks ago I stood in a NICU room praying with our friend and his 12 month old little boy who was lying there was with his chest wide open and hooked up to countless machines that were keeping him alive. He had just had a open heart surgery the day before, and there were some complications. His mom and dad hurt, and my wife and I hurt with them. That little boy’s name is Carson, and he’s back home now and doing fantastic. But, I’m stillvery sensitive when I think about all that they went through, and they were on my heart and mind today as we were talking about Noah’s heart. But it’s all good. I have no shame in admitting that I’m a cry baby! Good thing my wife is 3 million times tougher than me! We’ll visit the cardiologist again in 18 months just to have another check up and make sure everything is A-OK with his heart. Fantastic. We wanted to say thank you so much to all of our friends on Twitter and Facebook for loving on our son so much. We really appreciate all of your prayers and support I’ve said this a million times, but we really do consider you guys our friends. Thanks for all of your encouragement, and for being a part of our story with us. It really means a lot to us to know that are so many people care about our son. Thank you also for sharing your stories with us. We enjoy getting to know each and every one of you! What has been your experience with your child’s heart / cardiologist / surgeries, etc? I know there are a lot of amazing stories out there, and I would love to hear them if you’d be willing to share. Also, I know your stories will also encourage other parents who may be going through a fearful time. Please take a moment to leave a comment below and share your “heart story” with us! Like you guys on Facebook for awhile and clicked on the link about Noah being a big brother. Congratulations on the new baby. Then this was at the bottom of Noah being a big brother. Caught my eye because I am 24 years old and was born with heart condition. Had surgery at 12 years old. After reading this blog post just wanted to say that heart issues can be scary but it makes someone a fighter which Noah is already. The lesson that I have learned from having a Congenital Heart Defect is that everyone is the same and wants to be treated the same. Even though I don’t know you personally or have even meet you I know that Noah is an amazing and adorable little boy. He will be a strong person l and a fighter, because being strong doesn’t always mean you have big muscles it means you have been through something that makes you strong! I totally agree with you! Thanks so much for your comment and your kind words! First of all, let me say, Noah is so adorable! I have found myself going back days that I missed, just so I know what Noah is up too! My oldest grandaughter (now 10 yrs old) was born with the AV Canal defect and had her first heart surgery when she was 4 months old. Which at that time we were told that she would eventually have to have another one as she gets older. She is fixing to undergo her 2nd heart surgery on October 8th. I could tell you why but would probably get it all mixed up and it wouldn’t sound right. I can say that it has to do with the scar tissue and leakage is around 49% (well was back in June when they did a heart catherization test). I think the hardest part right now is trying not to show the anxiety in front of Lele (grandaughter’s nickname) and keep explaining to her that she is fixing to have surgery on her heart. Lastly, congrats on the soon to be addition to the family! I can tell you now, Noah will love being a big brother! My little Lele is a big sister to both a sister and a brother. And just let me say, don’t be surprised if Noah and his little brother/sister are talking in their own language! Don’t try to figure it out, cuz they’ll change it right as your figuring it out.